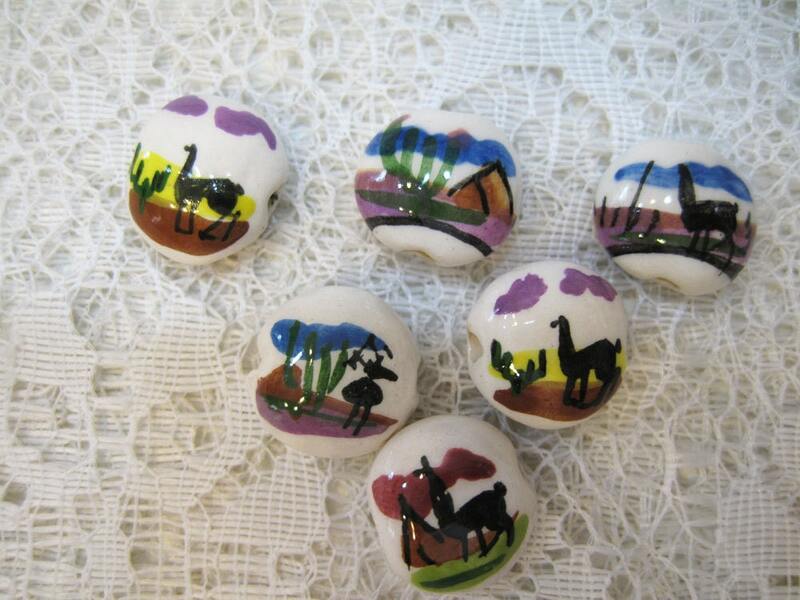 6 Peruvian ceramic llama lentil beads. These beads were hand-made and hand-painted by expert Peruvian crafts people. The design shows a llama on one side and a woman spinning on a drop spindle on the other. They are about 15 x 13 x 8 mm, with 2 mm horizontal holes. Large holes on these beads are perfect for fiber arts - knitting, crochet and weaving as well as kumihimo! Nice little colorful beads - thanks! Excellent quality and service! I will always shop here! Thank you for everything! !